When the food crisis began several years ago, with soaring prices and supply shortages, governments agreed to invest much more in agriculture. And with predictions of a global population of nine billion by 2050, the need for more food has become increasingly urgent. But some say food security cannot be achieved unless trade barriers are removed. 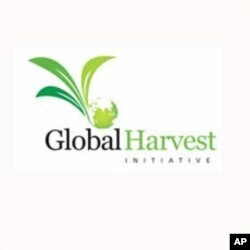 The Global Harvest Initiative says improving food and agricultural trade flows in the coming decades will help counter the effects of changing weather patterns, population shifts and limited natural resources. The initiative began in 2009 with a partnership of big business, including Archer Daniels Midland Company, DuPont, John Deere and Monsanto. “Trade is actually very closely linked to global hunger and food security. And I think that it’s something that needs to be talked about more and more. The way that it really plays in is that markets are a big part of either the problem or the solution in addressing hunger and food security. Not only are they really the way that food moves from places of supply to places of demand, but they also play a big role in the decisions that farmers make about how much they should produce and what they should produce and when,” said Katrin Kuhlman, director of TransFarm Africa, also a member of the Global Harvest initiative. TransFarm Africa is part of the Aspen Institute, which says its core mission is to foster enlightened leadership and open-minded dialogue. Kuhlman said dropping trade barriers opens markets and gives farmers more incentives to produce. “Farmers, just like any other business people, will decide what to produce based on what they see the market to be. And if they don’t see that the market is open they won’t produce as much. So, it factors really directly into productivity as well. So it’s not only the channel to move things back and forth, but it’s also impacting what farmers will actually decide to produce,” she said. But negotiating trade deals is often difficult. The Doha Round of World Trade Organization trade talks began in 2001. The goal is to lower trade barriers, but progress has been slow. There are major differences between rich and developing nations, including the use of agricultural subsidies. Kuhlman says a different approach may be needed to resolve some of those differences. “Part of what we need to do is sort of take ourselves back to the barriers themselves and to the investments and opportunities that those barriers are impeding. And if we do that instead of sometimes starting with the big negotiating round or the big agreement, I think that we’ll find that we can come up with different solutions for addressing the barriers and more practical and tangible ways that we can get at them,” she said. She added that a demand-driven approach can help remove trade barriers. “Very often the process itself will not work unless you have a way to test it. So countries will put in place different laws and regulations, but those don’t really come to life until you have an actual business that’s going in and saying here’s what we’re trying to do. We have this opportunity that’s being impacted by this barrier and we need to find a way to remove it. And then, I think, you see things start to change,” said Kuhlman. This means possibly removing trade barriers on a case-by-case basis. The head of TransFarm Africa said developing nations should not only take part in global talks, but also take a closer look at any trade barriers in their own markets. In places like sub-Saharan Africa, for example, the market that’s really most critical in some ways is the regional market. Countries need to do things within their own borders to remove barriers to trade. But the regional markets are so important in sub-Saharan Africa and without finding ways to really facilitate trade in those regional markets, looking ahead to global markets is almost 10 steps removed. But really focusing on things regionally will open up trade all along the chain,” she said. At the same time, Kuhlman said if rich nations are serious about dealing with food security, they also need to make their markets as open as possible to developing nations. How important achieving food security? “I don’t think that there’s a way to do it without addressing barriers to markets and without making trade flow more freely. And I think that we really are at a stage right now where we need to think very, very seriously about how to do this,” she said. Business, she said, should be part of the process. In April, World Trade Organization members pledged to find a way out of the trade talks deadlock. WTO Director-General Pascal Lamy told members to think hard about “the consequences of throwing away ten years of solid multilateral work.” He called on members to “use the upcoming weeks to talk to each other and build bridges." Lamy is scheduled to give an update on the situation on May 31.